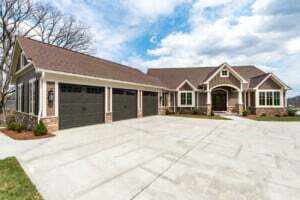 Toebben Companies specializes in new homes in the Cincinnati area. Whether you’re in the market for a single-family home, landominium, town home, luxury condominium, or a secluded estate, we can turn your wish list into your dream home. With Toebben, you’ll be able to browse model homes from our luxurious communities and view unique floor plans before starting construction on your custom new home. Our approach to new homes is centered on green building, high-quality materials, and estate living all within the Greater Cincinnati area. Toebben features luxurious living communities in the Cincinnati area with large lots and easy access to downtown. You and your family can choose the type of home you desire from our available lots or new homes already constructed and ready for move-in. Buying a new home in one of our communities – Country Squire Estates, Squire Valley, and Rivers Pointe Estates – gives you access to extra amenities including pools, clubhouses, tennis courts, walking/hiking/biking trails, wellness centers, and more. And you will still get to enjoy the privacy, serenity, and exclusiveness of a dream home minutes away from the city of Cincinnati. New homes in the Greater Cincinnati community of The Reserve. View available new homes and lots. Nestled in estate living maintenance-free communities, Toebben’s new custom-built homes feature luxury finishes, hand crafted cabinetry, 10’ ceilings, cul-de-sacs, and more. We offer the finest master bedrooms, kitchens, and dining rooms available in today’s market. Oversized lots allow for plenty of living space in your new home, including covered decks or patios, recreation rooms, basements, 3 to 4 bedrooms, screened-in porches, libraries, garages, foyers, or game rooms. Whether you’re looking to buy a completed “ready to move in” new home or build a custom new home in the Cincinnati area, we have a solution for you. Toebben Companies has been developing new home communities in the Cincinnati area for over 60 years. Contact us today to get started! images of some of them! Not sure if now is the right time to buy a home? 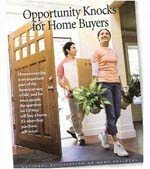 Click above to find opportunity knocking!